BROOMFIELD, Colorado (April 16, 2018) – Sound Caddy (SoundCaddyGolf.com), a state-of-the-art Bluetooth speaker and power bank for golf, will be featured and available for purchase at the first-ever Brookstone Makers Showcase store, which will open April 21, 2018, at Roosevelt Field Mall, in Garden City, NY. Henry Adams, creator and founder of Sound Caddy, will be present at the store opening. Brookstone is launching its new retail platform at the 4,236-square-foot pilot location to shine a spotlight on inventive technology-based brands, a category in which Sound Caddy is leading the way for golfers. The Brookstone Makers Showcase store will feature a dedicated product demonstration stage and a sound-dampened “Voice Box” room where customers can try out Sound Caddy and other sound-based products. Sound Caddy, which allows golfers to unwind and experience the freedom of high-fidelity music on the golf course, is dedicated to enhancing the game of golf while not disrupting its traditions. BROOMFIELD, Colorado (March 14, 2018) – Sound Caddy (SoundCaddyGolf.com), a state-of-the-art Bluetooth speaker and power bank for golf, is seeking sales representatives to place its popular speakers in retail outlets and golf shops throughout the U.S. 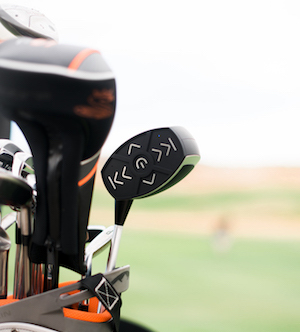 The sound system that looks and feels like a golf club, and fits in the bag like a golf club, is in increasingly high demand across the country. Until now, consumers have been able to purchase Sound Caddy only through the company website, but growing interest from golfers themselves and from shops wishing to carry the product has resulted in a nationwide search for qualified representatives. Also, the new Sound Caddy customization option is in great demand by golf clubs, tournament directors and corporations seeking to provide memorable gifts to golfers. Each Sound Caddy unit can be customized with a name or logo. It’s a 3-D and up to four-color molded customization for club and corporate gifts. To inquire about a sales representative opportunity with Sound Caddy, please email fore@soundcaddygolf.com or call 303-482-3131. Sound Caddy is the first Bluetooth speaker and power bank specifically designed for golf. A variety of golf-specific functions make it the perfect high fidelity speaker for golfers to enjoy music and keep devices charged while enjoying time on the links. The product has grown steadily over the past year in the Golf, Corporate Gifting and Specialty Retail sectors. 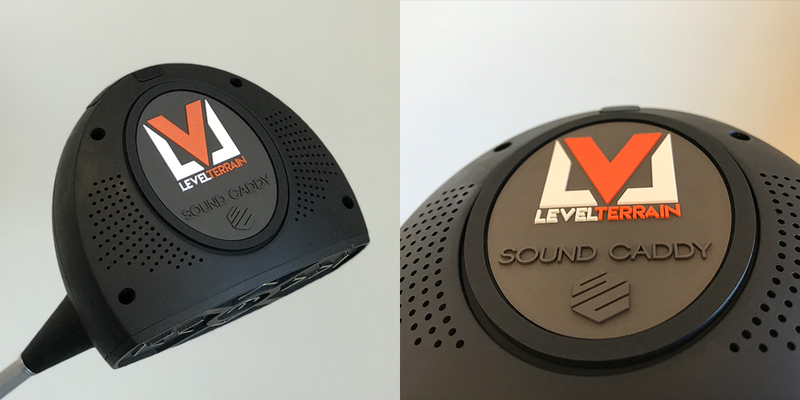 Sound Caddy was launched in March of 2017 by Level Terrain, a Colorado company that specializes in accessories for the Sports, Outdoors and Fitness markets. BROOMFIELD, Colorado (February 7, 2018) – Sound Caddy (SoundCaddyGolf.com), a state-of- the-art Bluetooth speaker and power bank for golf, announces a new customization option. Now the sound system that looks and feels like a golf club, and fits in the bag like a golf club, can be customized with a name or logo. Sound Caddy, which allows golfers to unwind and experience the freedom of high- fidelity music on the golf course, is dedicated to enhancing the game of golf while not disrupting its traditions.